The exhibition makes it’s sophomore appearance at Reading Frenzy, a small press emporium and gallery in Portland, Oregon (kitty-corner from Powell’s Books) on this very Thursday. Meeting Modernity is accompanied by a trio of essays by Ian Lynam, W. David Marx, and Matt Treyvaud reflecting the collection of photographs, the history of Japanese photography, commercial art, and Japanese society. A limited edition of full-color Meeting Modernity postcard sets from the previous exhibition in Los Angeles’ Young Art will be available at Reading Frenzy. If you are in Portland, we heartily encourage you to visit the exhibition. Just went and saw your exhibit at the Reading Frenzy bookstore. The pictures were surprisingly small, but very entertaining. The one I liked most was a picture of 8 men dressed with pants and longsleeve shirts with rice hats working in (what appears to be) a rock quarry. 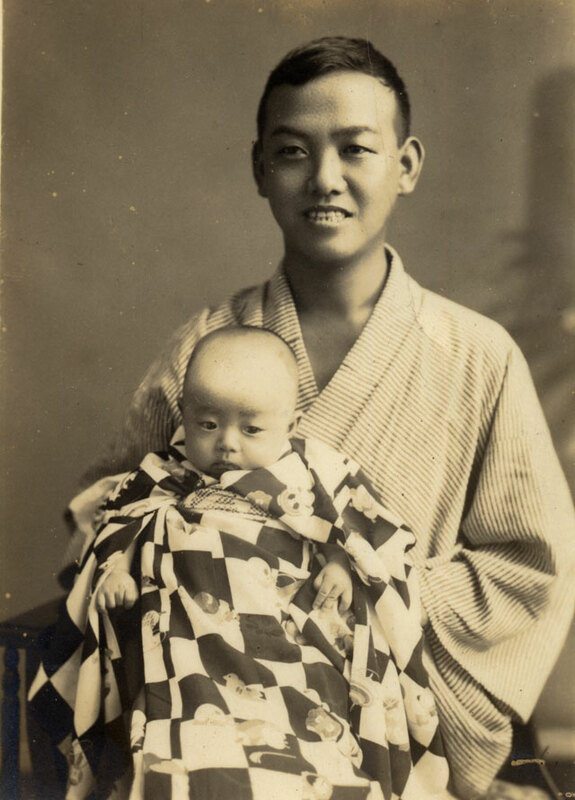 These photos seem to represent an aspect of “working Japan” that appears often overlooked or passed by in historical accounts of the early Modern period. Thank you for exhibiting them here in Portland it was a real treat.